1. How well did we communicate with you? 2. How was our professionalism? 3. How was the quality of our work? 4. How was your overall experience? of the subject matter [Yes/No]? 6. Would you refer us to others [Yes/No]? Everything was explained so we could understand it. It was easy to get done and quick. Thanks. . In this day and age it is refreshing to find a business that focuses on professionalism and customer service; not just a timesheet and a fee. I highly recommend Southwest Wills & Trusts. We, like many people, put off addressing the issues needed to have a will drawn up for much too long. Ranae Settle and her assistant provided a very professional setting with excellent communication from the initial phone call to set up an appointment, through the process involved in delivering the completed documents. The process was really so simple and has given us great peace of mind. We now know our children won’t have to worry about what our wishes are and it will take a huge burden from their shoulders when the time comes for the handling our estate. Ranae put us completely at ease and guided us through decisions we needed to make, while making suggestions on issues we had not even considered. We feel certain all legal questions have been answered and addressed in the documents she prepared. We would highly recommend Ranae Settle and Southwest Wills & Trusts for all your estate planning needs. Efficient, crisp, professional, flexible, quick, knowledgeable, friendly - I’m very satisfied. Thank you! Professional and fast. - John H.
Our time spent with Ranae was informative, showed leadership of how to do or suggestions of some changes to our trust which were to our advantage. Always was interested in our “benefit’ - not just a selling point. Very trustworthy. I felt there was an atmosphere of trust (I was in good hands). After a major change in my life, it was very important to me to make necessary changes to my estate. Southwest Wills was extremely accommodating to that criteria. 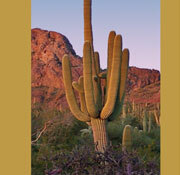 Southwest Wills gave me peace of mind as I felt confident these matters would be handled swiftly and accurately. It was in-depth and thorough. Everything was communicated well. The office is very relaxed. The whole experience was completely comfortable. MORE than exceptional! Quick, efficient, complete, accurate - what more can I say? Everything was done very professionally and as all things should be - well done. In today’s business environment, it would be great if all businesses operated like Southwest Wills & Trusts. I did not have to worry or handle anything - like it should be. Southwest Will s& Trusts takes care of business ‘old school style’. Knew instantly what needed to be done. Solved and completed everything in a precise and prompt manner. Very comforting! Thanks Ranae! The promptness and thoroughness were very much appreciated. - J.R./C.R. I appreciated how professional [Ranae Settle] was but yet personal enough to meet my needs. Thank you for not taking advantage of me in not letting me do more documents than were needed. ... I would and will definitely recommend Southwest Wills to my friends and family. I am very satisfied and relieved in getting my will completed. Ranae Settle was exceptional in providing her services to my three children and I. Her manner was very caring, efficient, accommodating and overall thorough in her professionalism. We all “Thank” Ranae for this. Friendly and excellent service. - Robert P.
[Ranae’s] matter of fact approach to our needs; her ability to convey to us our choices clearly; her upbeat personality - is a joy! Thanks! - John and Dorothy S.
Promptness of preparation - explanations in detail. - John S.
Promptness of preparation - fully explained. - M.M. Ranae was very thorough and professional. She was friendly and patient. I highly recommend her services. Thank you Ranae for all that you did for me, taking a chance on some poor ... girl from Montana who didn’t have a clue what to do with her sister’s passing and being 1400 miles away and no Will. You were a God send, I can’t thank you enough. [My children] and myself will never forget our trip to Tucson. Although I thought it would be a sad trip, it was just the opposite. You really treated us very well and made us feel special. [Your husband] was awesome to us too. He helped me out with getting my insurance on the car squared away when I kept getting the run around. Tell him we think he’s the man! You will always have friends in Montana. So when you and [your husband] are ready to come to BIG SKY COUNTRY I hope you let me be your tour guide. Forever grateful. MERRY CHRISTMAS and HAPPY NEW YEAR! My experience was exceptional. Ranae Settle handled my probate and will with professionalism and compassion. It was a particularly difficult time in my life when I contacted Ranae and she handled my problems completely - no hassle. The best part of my experience with Southwest Wills & Trusts was Ranae Settle herself. She displayed the ideal combination of knowledge, professionalism and friendliness that made navigating an arcane process as easy as it could be. Thanks, Ranae! [My wife] and I wanted to thank you for your very professional help with our [adult incapacitated son’s] guardianship - you inspire confidence! All questions were answered well and completely, with no pressure for time or hurry up. We were comfortable with our discussions and [Ranae’s] patience. Southwest Wills & Trusts is a very knowledgeable, insightful and helpful asset to myself and my customers. I always refer folks [to them] for Ranae’s expertise about wills, trusts and executorship questions. My wife and I were going on a trip out of the country and needed a [complex] living trust and will done in less than a month. Ranae some how completed all the paperwork and was a gem to work with - Bravo. Everything was explained so we could understand it. It was easy to get done and quick. Thanks. Ranae Settle . . . provided a very professional setting with excellent communication from the initial phone call to set up an appointment, through the process involved in delivering the completed documents. The process was really so simple and has given us great peace of mind. We now know our children won't have to worry about what our wishes are and it will take a huge burden from their shoulders when the time comes for the handling our estate. Ranae put us complete at east and guided us through decisions we needed to make, while making suggestions on issues we had not even considered. Thank you Ranae for all that you did for me, taking a chance on some poor . . . girl from Montana who didn't have a clue what to do with her sister's passing and being 1400 miles away and no Will. You were a God send, I can't thank you enough. [My children] and myself will never forget our trip to Tucson. Although I thought it would be a sad trip, it was just the opposite. You really treated us very well and made us feel special. [Your husband] was awesome to us too. He helped me out with getting my insurance on the car squared away when I kept getting the run around. Tell him we think he's the man! You will always have friends in Montana. So when you and [your husband] are ready to come to BIG SKY COUNTRY I hope you let me be your tour guide. Forever grateful. MERRY CHRISTMAS and HAPPY NEW YEAR!